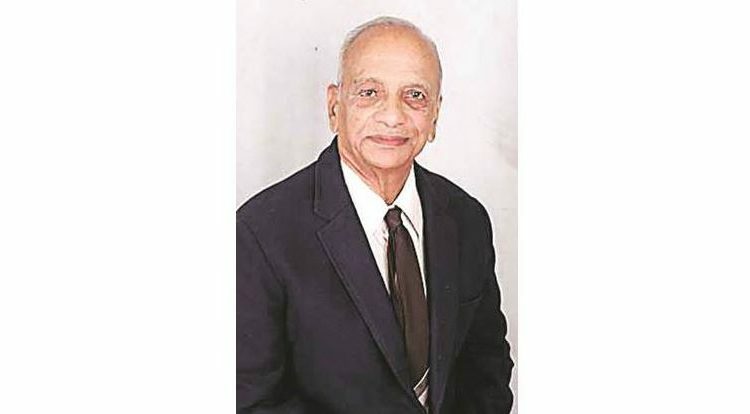 Bhubaneswar: A pioneer in the realm of sickle cell advocacy, Dr Sudam L. Kate, 63, has dedicated a total of 36 years of his life to sickle cell in India. His journey began in the year 1972 when a team of Russian anthropologists visited India to study genetic markers among tribal population groups from Maharashtra. They selected the Pawara tribal groups from Sahada taluka of the Dhule district. However, while screening the Pawara tribal community for blood markers, Kate came across with few sickle cell trait carriers and one patient with sickle cell disease. This prompted him to conduct extensive research in this field. Sickle cell anaemia is a hereditary defect confined to red blood cells. The basic defect is in the structure of haemoglobin molecule of the red blood cells. These cells take shape of a sickle in an oxygen-deficient environment. Due to this effect, there is an early destruction of the cells leading to a condition known as sickle cell anaemia. This genetic disease affects all organs of the body. Being a pioneer in the Sickle Cell Research in India, he has worked for tribal communities in Maharashtra, Gujarat and Madhya Pradesh. Kate has screened over 2 lakh people for sickle cell and identified 3,000 patients in the tribal community. Besides, he also implemented Sickle Cell Anemia Project and provided polyhedral drug SC3 treatment free of cost since the 1990s. Throughout the course of his career, Dr Kate remained active within the sickle cell community continuing his study on genetic disorders, organizing national symposiums on tribal health, and organizing health camps in tribal areas of Maharashtra. In 1998, Dr Kate established Sickle Cell Dawakhana, a sickle cell centre that provided diagnoses, counselling and Ayurvedic treatment. To-date there have been 3204 patients diagnosed under the centre’s medical supervision. Dr Kate plays an instrumental role at the Maharashtra Arogya Mandal (MAM) in Pune, an ayurvedic medical college. Dr Kate has an extensive list of accomplishments regarding his work in research and patient care. In 2017, he received the ‘Sickle Cell Advocate of the Year’ award, becoming the first Indian to win the recognition. For his immense contribution in the realm of Sickle Cell Anemia, he was awarded the fourth highest civilian award in the country-the prestigious Padma Shri, by the Government of India on January 26, 2019.